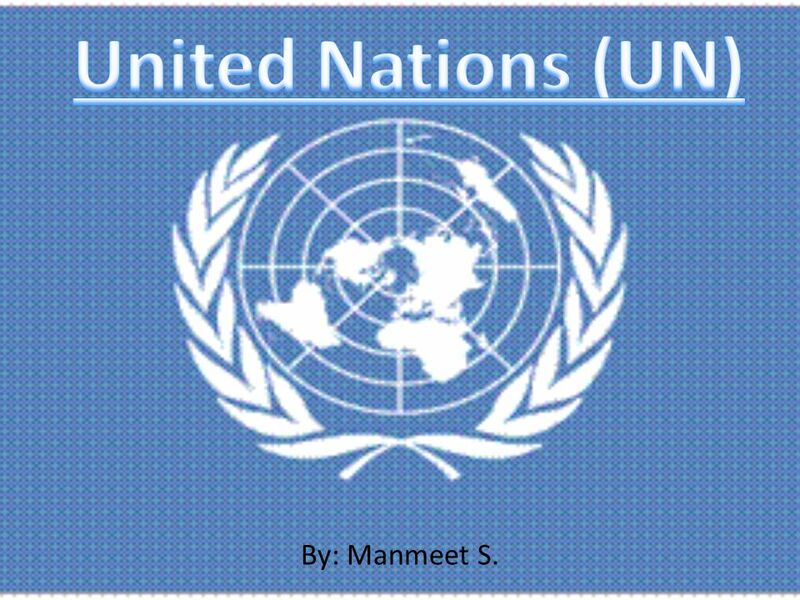 By: Manmeet S.. What is the United Nations? History Currently How to Improve Facts Did You Know? Sources. 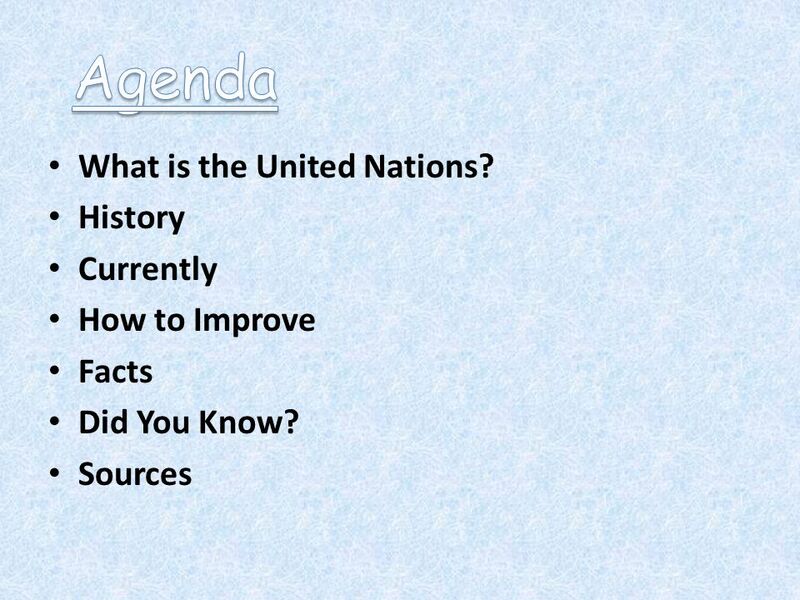 Download ppt "By: Manmeet S.. What is the United Nations? History Currently How to Improve Facts Did You Know? Sources." The UN. The United Nations The UN came into existence in June 1945 after a conference held in San Fransisco. 51 Countries signed the Charter of the United. 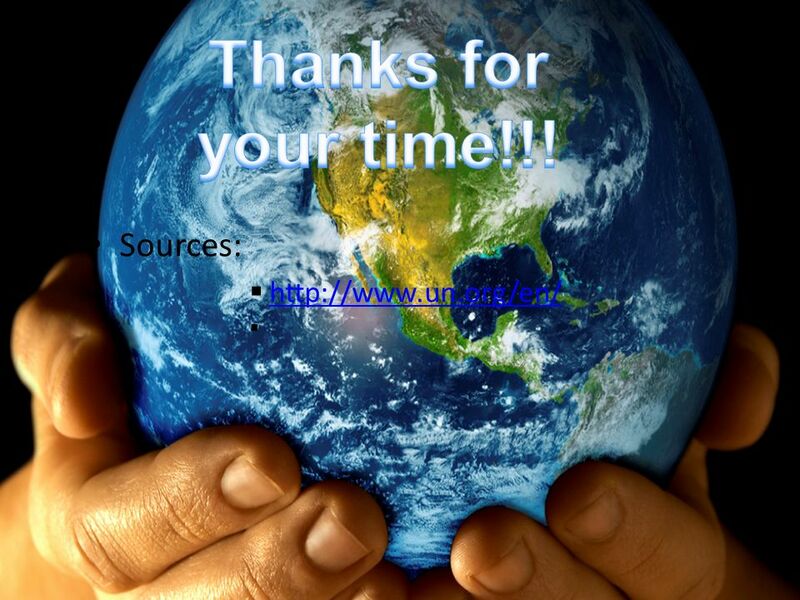 UNITED NATIONS IT’S YOUR WORLD © 2011 Biba S. Kavass. The United Nations By Haresh Siva and Jason Nissenblatt. Unit 2 Activity 10 Alliances and International Organizations. Tolerance and friendship among all nation, racial or religious groups. What is the job of a football referee?. 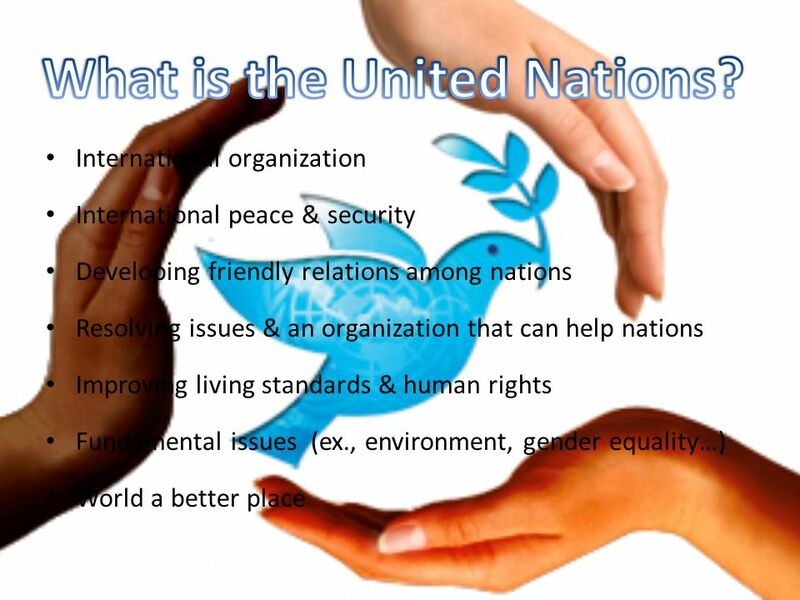 The United Nations Aims What is it? 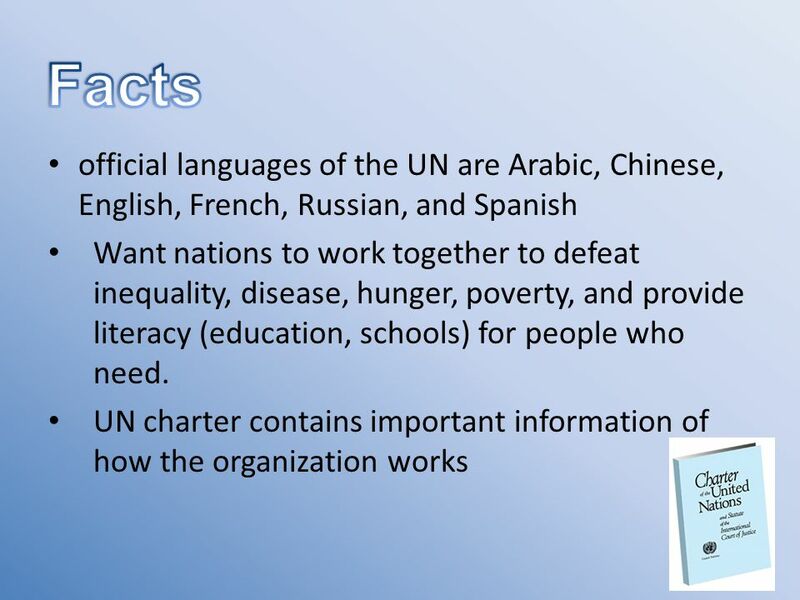 History of… UN Charter. 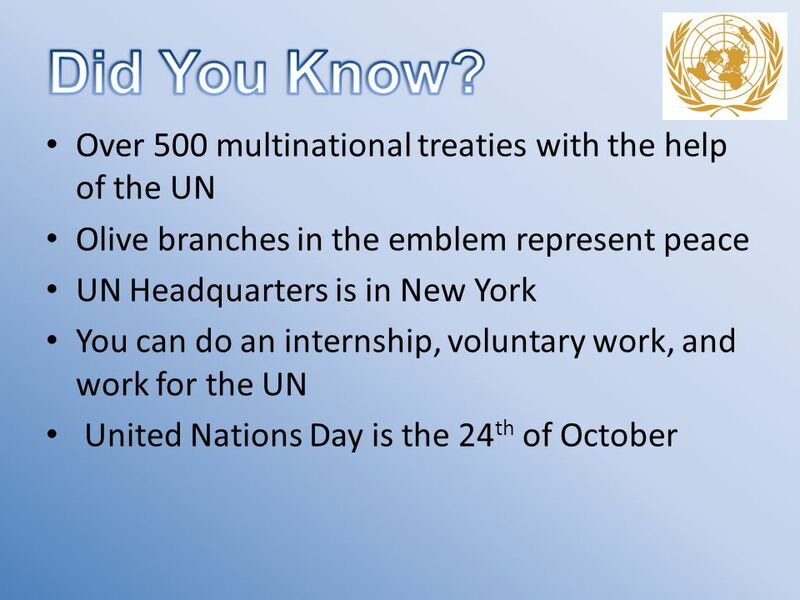 UNITED NATIONS Founded 24 th October What is the UN? Founded in 1945 after the Second World War by 51 countries. 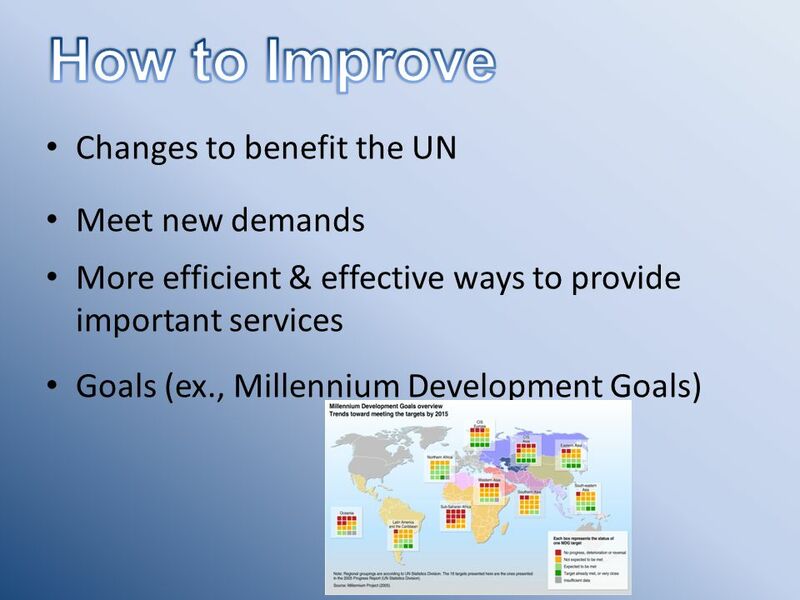 The UN has 4 main purposes 1.To. THE UNITED NATIONS 193 Member States. 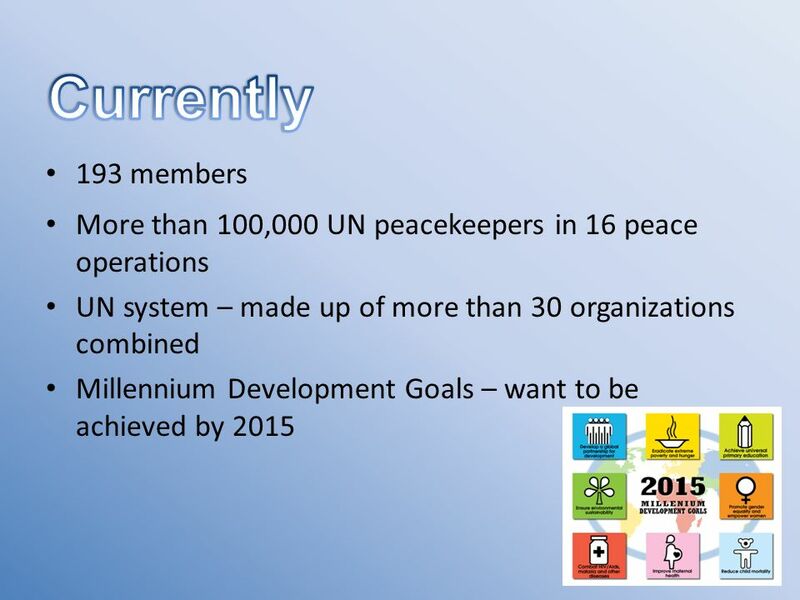 UNITED NATIONS (UN) INTRODUCTION TO THE. 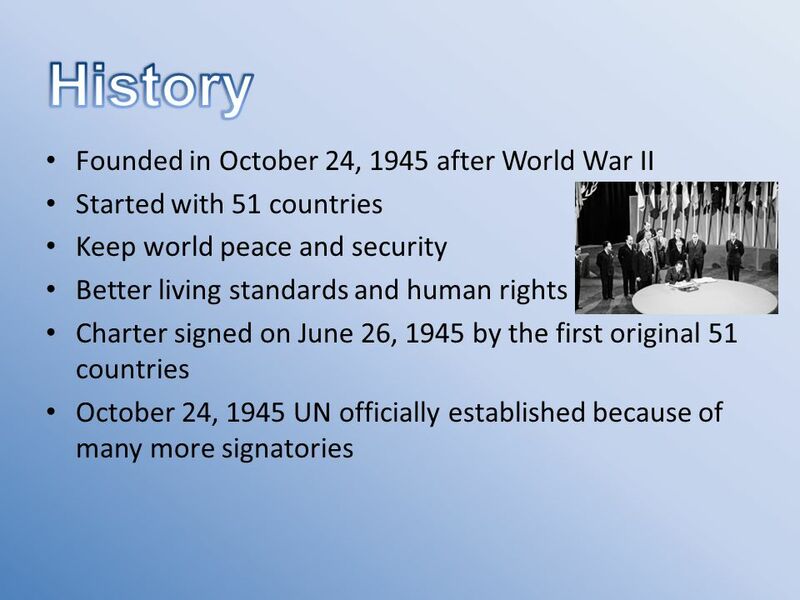 History Founded in 1945 by 51 countries after the devastating events of World War IIFounded in 1945 by 51 countries.